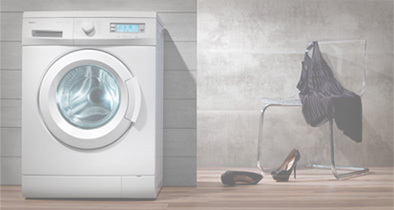 Whether your washing machine has just broken down or you want to upgrade your TV, we’ve got a couple of simple payment options to help you spread the cost. We make it really simple for you to make big purchases more manageable. There’s only one form to fill out and we won’t take a deposit. From time to time we’ll have some amazing finance offers available, including 0% interest. All you need to do is choose whether you want to spread the cost over 6 or 12 monthly instalments with no interest or additional charges and fill out a simple application form. The total amount repayable is the cost of your order, making it both an easy and affordable way to buy from AO. Other payment options are available including Buy Now Pay Later, with no deposit and absolutely nothing to pay for 6 months. Add any product or service over £199 to your basket and select 'Pay on Finance'. Once you’re in the basket, choose the ‘Pay nothing for 6 months’ option. Then, fill out the short application form - we won’t take a deposit and you’ll get an instant decision. You'll need to e-sign your acceptance email as soon as possible to secure your delivery date. After 6 months, you can choose to pay in full, with a £29 admin fee, or spread the cost over 42 months. As long as your order comes to £199 or more, with Buy Now Pay Later you can take a nice, long payment holiday. That means no deposit and absolutely nothing to pay for 6 months. When the 6 months are up, you can either pay the balance in full with a £29 settlement fee or pay monthly over 42 months with a fixed rate of just 19.9%. And, it couldn’t be easier to apply, just fill out our short and simple application form when you check out. Using our handy table, just enter your order total to see an example of your repayments. AO Retail Limited acts as a credit broker and not a lender. Take your pick from a 12, 24, 36 or 48 month plan. Fill in your details and complete a simple application form. There’s no deposit to pay, and interest is fixed at just 19.9%. You'll need to e-sign your acceptance email as soon as possible to secure your delivery date. We want to make sure that paying on finance is as easy as possible. Flexible repayment options are available on all items over £199, making those big investments easier to manage. And all it takes is a simple application form. You can choose to spread the cost over 12, 24, 36 or 48 months, with an interest rate of just 19.9%. With our handy table you can take a look at the various repayment periods and find out how much you could be paying per month. Finance is available on orders of £199 or more, placed on our website. This amount includes any additional services and delivery options selected, however does not take into account any promotions, such as cashback. If your application is successful, you may be asked to verify your identity by authorising a 50p transaction against a credit or debit card that you own. This helps protect you and us against fraudulent finance contracts. No money will be taken from your card; the details are only used to check that they are valid and registered to your address. You'll need to e-sign your acceptance email as soon as possible to secure your delivery date. Yes - when you apply for finance, the lender will run a credit check on your financial history to see if you are a suitable candidate for finance. This means that this search will show on your credit report. If you wish to appeal the decision made by the lender, it’s advised you obtain an up to date copy of your credit report before appealing to them directly. Due to data protection, all customer appeals must be made in writing to [email protected] or for more advice, call V12 on 02920 468916. How do I select interest free credit? We offer buy now, pay later and Interest Free credit options as promotions on selected products. When we’re running these promotions, they’ll be flagged in your search results and on the relevant product information pages. If you’d like to apply for this option, please select “Pay on Finance” at the payment options stage of the checkout, and then choose the payment term you’d like from the “Duration” dropdown box. We've teamed up with V12 Retail Finance to offer you a flexible and affordable option to pay on finance. V12 Retail Finance provides Retail Point of Sale Credit through an online paperless application and processing system. If your application is successful, you will enter into a Credit Agreement with Secure Trust Bank PLC trading as V12 Retail Finance. V12 Retail Finance Limited is authorised and regulated by the Financial Conduct Authority under registration number 679653 and acts as a credit broker for Secure Trust Bank PLC. Secure Trust Bank PLC is authorised by the Prudential Regulation Authority and regulated by the Financial Conduct Authority and the Prudential Regulation Authority under registration number 204550. AO Retail Limited of 5a Parklands, Lostock, Bolton BL6 4SD is acting as a credit broker for Secure Trust Bank PLC trading as V12 Retail Finance. AO Retail Limited is authorised and regulated by the Financial Conduct Authority, registration number 671796. Credit provided subject to age and status. If your application is successful, you may be asked to verify your identity by authorising a 50p transaction against a credit or debit card that you own. This helps protect you and us against fraudulent finance contracts. No money will be taken from your card, the details are only used to check that they are valid and registered to your address. To be eligible to apply for finance, you must be 18 or older, in regular employment and have been a UK resident for more than 3 years. Other conditions may apply and we cannot guarantee that your application will be accepted. Stock will not be allocated until the application has been completed and approved. We reserve the right to withdraw finance on certain products at any time. Pay on Finance is provided through the credit broker - V12 Retail Finance Limited. If successful the customer will enter into a credit agreement with Secure Trust Bank PLC trading as V12 Retail Finance. Should you cancel your credit agreement and have already received products from us, then you will be liable to pay us in full for the product (unless your cancellation rights apply). Buy Now, Pay Later is provided by our finance provider V12 Retail Finance. Once your payment holiday is complete you can pay the outstanding balance with a settlement fee of £29. One month before the payment holiday ends V12 Retail Finance will write to you reminding you of your outstanding balance and your settlement date. Pay the settlement fee before this date to avoid paying interest. Please note that finance isn’t available on orders delivered using our Click & Collect service. If you choose Click & Collect at the checkout, you won’t be able to choose Finance as your payment option.